It seems the list of “healthy” foods is always changing. A decade ago, eggs were bad for you, then they were good for you and now? Eggs are OK, at least moderation. But some foods are notorious health offenders, like fried foods — which increase your risk of death. But which oil-laden items are the worst? 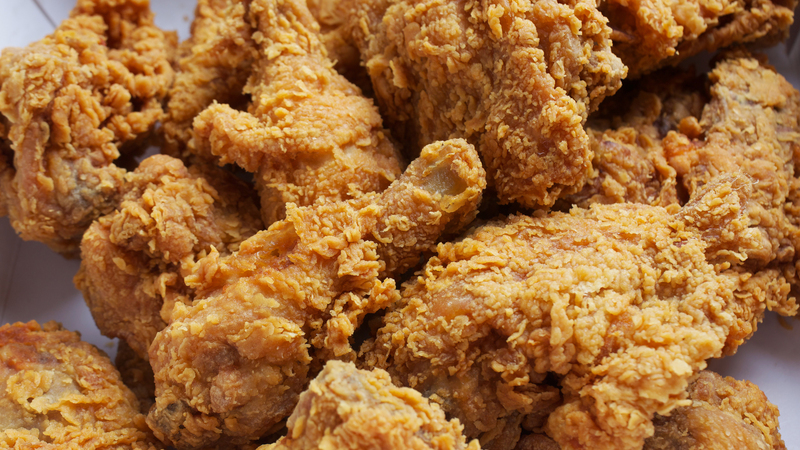 According to a new study, fried chicken and fried fish or seafood are particularly detrimental to women. In fact, these items can increase your risk of death by as much as 8 percent. The study, conducted by U.S.-based researchers and published in The BMJ, assessed the diets of more than 100,000 women ages 50 to 79. Each woman completed a questionnaire between 1993 and 1998, and researchers then followed up on them in February 2017. During this period, 31,588 deaths occurred — including 9,320 heart-related deaths, 8,358 cancer deaths and 13,880 from other causes. Of course, the causes of each death were impacted by a variety of factors, including lifestyle, overall diet quality, education level and income. However, when researchers looked at the women’s consumption of different fried foods — specifically, fried chicken, “fried fish, fish sandwich and fried shellfish (shrimp and oysters)” and other fried foods, such as french fries, tortilla chips and tacos — they noticed a trend. Eating fried foods was associated with a heightened risk of death from most of the aforementioned causes except cancer, and some foods were worse than others: namely, fried chicken and fried fish. Researchers have noted that these findings are preliminary, and no firm conclusions can be drawn; however, they also stated, “[R]educing the consumption of fried foods, especially fried chicken and fried fish/shellfish, may have clinically meaningful impact across the public health spectrum.” So think twice before you order lunch today. Those drumsticks may not be worth it.